I am pretty sure that at some point of our lives, we played Video Games. Remembering my younger days, I had this GameBoy from Nintendo that I always carry around with me. Played it for hundreds of hours with games such as Pokemon and many other games. Growing up, I still play a few but always wonder, How did they do this? How to create such games? Can I create one too? These are the questions that always come in my mind whenever I play a video game. 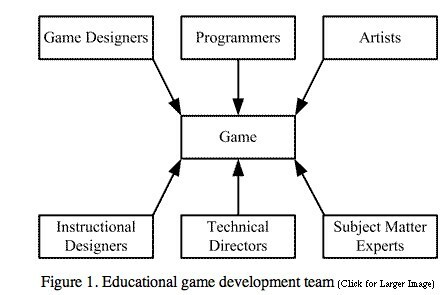 What is Game Design? What are the processes of creating a video game? Game design is the art of applying design and aesthetics to create a game for entertainment or for educational, exercise, or experimental purposes. Increasingly, elements and principles of game design are also applied to other interactions, in the form of gamification. What are the processes of designing a game? Interested enough to be the next big Game Designer? We interviewed Tueetor’s Game Designer, Shan Gao, to tell us more about him and the Gaming Industry. I came to Singapore 15 years ago, and I received my Computer Science Degree from NUS. After graduation, I worked in NTU for a few years on projects in serious games, and now I am taking a PhD degree in NTU. Two years ago, one of my friends recommended me to give computer science tuition to a 12-year-old student. I find by using game development approach I can quickly capture the student’s interest and through game development, I can put in various computer science topics and make the teaching smooth. My current students are very genius. We have developed 3D/2D games on different platforms (PC and mobile). We made games in VR (HTC Vive). And recently we made an MMO FPS game prototype. I feel very satisfied when my students learn the knowledge, and I get excited when they create very innovative games. My expectations are different for different students: 1) for those top math/science students, I hope they can fully understand the technology details I taught them and later they can use them in their creations. 2) For other ordinary students, I hope they can understand the principles and get help from technology in their later life. Computer scientists do thing step by step (like computer programs). I bought a book from China last year titled “Artificial Intelligence for High School”, and the contents are the latest technologies in recent years. Of course, the book is made understandable for high school students. I am a marathon runner. Running is a good way to relax. My all-time favourite: Sophie’s World. A brief western philosophy history book keeps me thinking who I am and what I am doing.